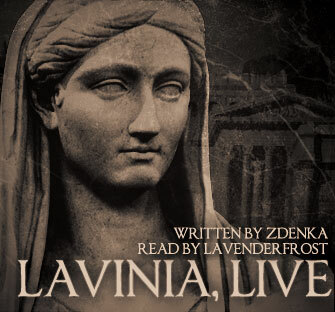 Inspired by Lavinia, live by Zdenka. Notes: A make-things-better fixit fic for Titus Andronicus, because if ever there was a Shakespeare play that needed fixing, that would be it. Non-explicit references to past canonical sexual assault and mutilation (if you don't know what happens to Lavinia in Titus Andronicus, look here), along with references to cultural acceptance of infanticide.